Training providers delivering exceptional quality in the leisure sector will be recognised in a new initiative from YMCA Awards, ‘Platinum Partners’, which aims to help employers and learners quickly identify training providers dedicated to offering high quality courses, amidst the hundreds of health and fitness courses on offer. The scheme focuses on the level of guidance, support, assessment and progression into employment that training providers deliver to students. While all centres currently running YMCA courses are subject to robust quality assessments to ensure they are delivering the organisation’s qualifications fairly and competently, Platinum Partners sets to recognise those centres going above and beyond. 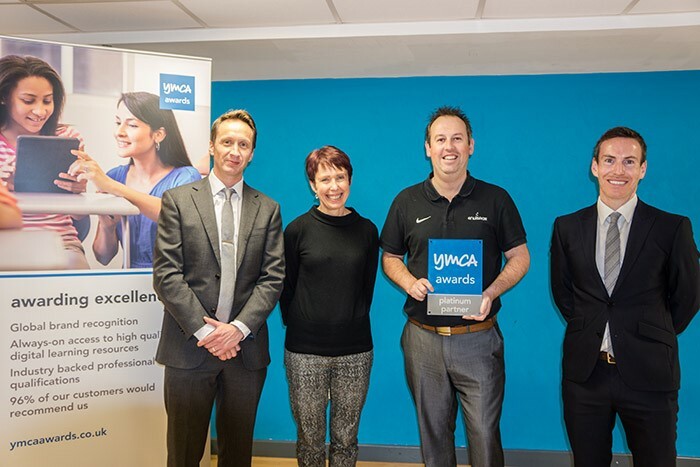 Rob May, director of YMCA Awards, the UK's leading award organisation for health, fitness and wellbeing qualifications said: “We'll actively be supporting and promoting those providers striving for excellence and our Platinum Partners will also be invited to help shape our qualifications offer. Envisage Training has become the first training provider to be recognised by the scheme."